Not so very long ago my youngest started kinder and I hatched a plan to work for myself again. After 9 years of raising kids and spending lots of time in their bedrooms I wanted to create something that would make their space special. Using my graphic design background I started to create fun, removable wall stickers for my kids and my friend’s kids. Since starting the shop in 2016, people all over the world have loved the designs and we are very excited to have our stickers on walls in New York, Los Angeles & London! The name ‘Moonface’ came from listening to Enid Blyton’s classic story The Faraway Tree with the kids on road trips. Her character “Moonface” was one of the kids favouries and they would shout out ‘Moonface’ to let me know they were buckled up in the car and ready to go!. 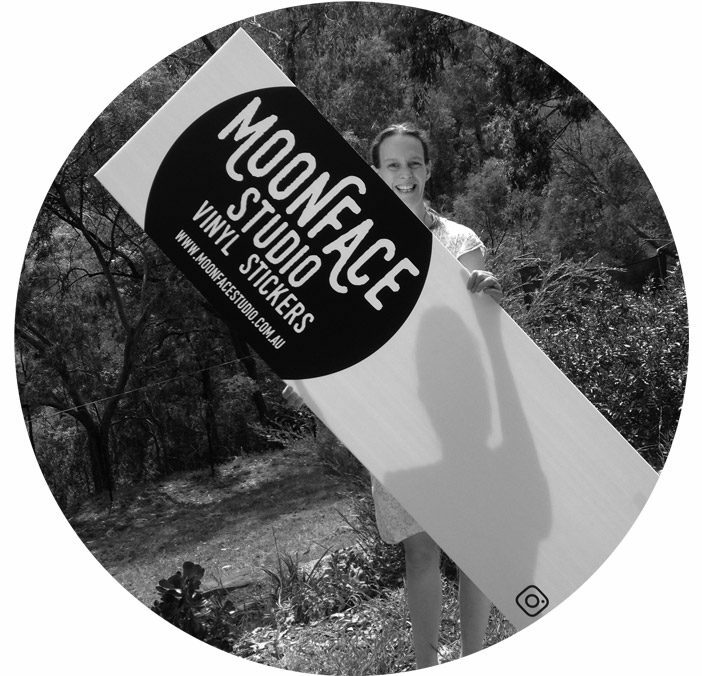 ​At Moonface Studio we design and make removable wall stickers for nurseries and kids rooms. Wall stickers are an easy way to safely update walls at home (or at work). Our stickers are designed to look like stencil art, as if they have been painted on the wall. They are made of matt vinyl with little bits cut out so you can see the wall through them. Every sticker is designed and made on the beautiful Mornington Peninsula (Victoria, Australia). We love coming up with new ideas that are inspired by you, friends, family, and life. The whole process is fun and we love it when you send in photos of our designs on your walls. ​We can also custom make vinyl stickers for walls, signs, windows, cars, clothing, most anything really! So if you have a sticker idea please get in touch.